I love how he sings, it's so sweet, although, I know as a mom, sometimes it can drive you crazy, no matter how cute it is. 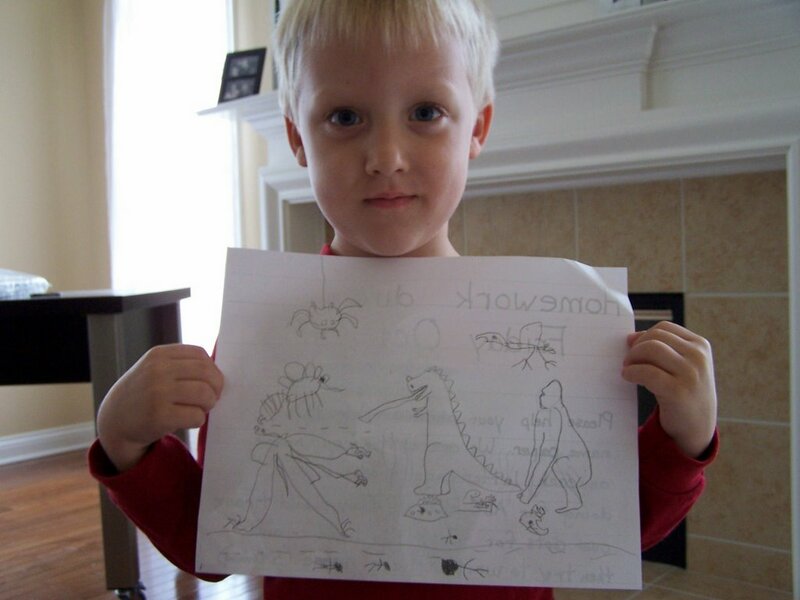 :) He's getting really good at drawing Godzilla! Impressive! Love to read about the kids. Ethan surely shows that he is one happy and loved boy or he wouldn't sing all of the time. 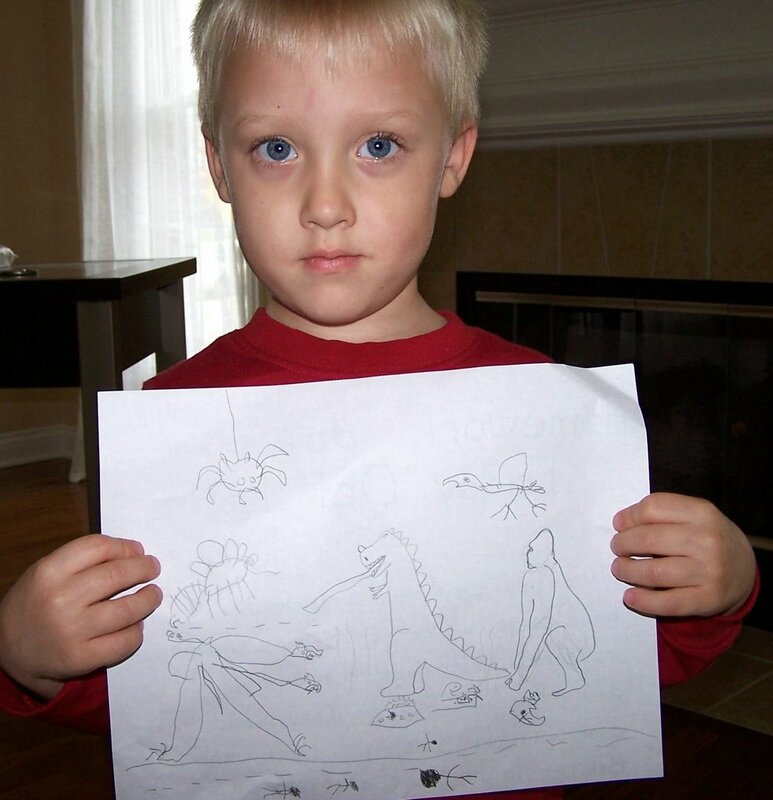 This picture introduced Bentley to the world of Godzilla and King Kong. He's crazy about the King Kong trailer. Ethan is a great artist!